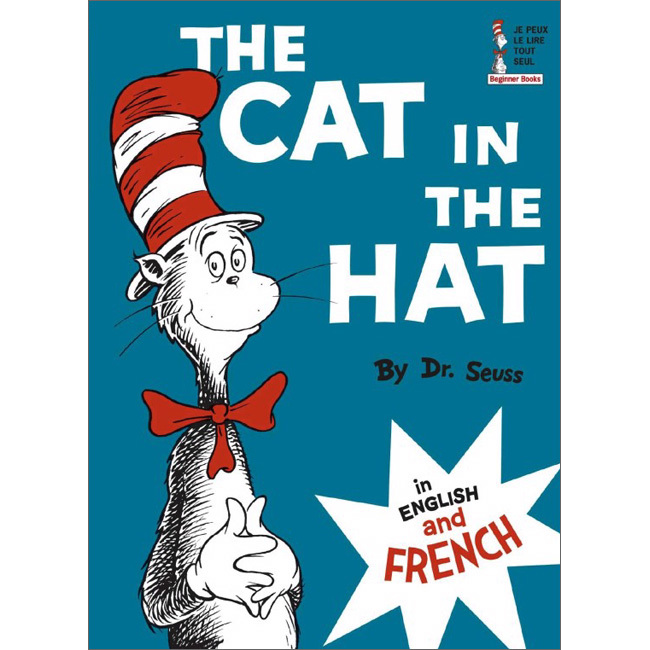 The Cat in the Hat in English and French bilingual edition is back in print! Perfect for teaching beginner readers simple, conversational French or English, the story is here on each page in the language the reader already knows, to guide him or her in the language they are learning. Each page features a paragraph of French text, with the original English text printed in a separate paragraph beneath. The repetition of this story makes it ideal for learning new words, and the hilarious plot makes it easy to read again and again. Learning a new language has never been so much fun! 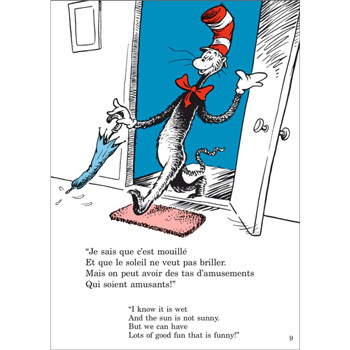 The Cat in the Hat / Le chat au chapeau is a great resource for children and adult-learners alike.